The message at the heart of Christianity comes from the New Testament of the Bible – the chapters of which were written by different people, giving eye-witness and second-hand accounts of Jesus and His teachings. Jesus Christ, the only son of God, is – as the bible says – the way, the truth and the light. It is only through believing and trusting in Jesus that we can come to know our loving creator, God, and receive eternal life. We believe the bible to be God-breathed and the highest authority for faith and life. Having chosen to follow Christ and experienced the joy of that, Christians want to deepen their understanding of God, through reading the bible, and to grow in faith. Many refer to this process as their ‘journey’ of faith. They seek to grow in grace and Christ-like character and to live lives that bring glory to God. It also becomes important to share the good news of the Gospel and to bring others to know Jesus as their Saviour and Lord. Christians attend Church regularly to hear the Word of God (the Bible) explained, to praise God, to pray together and have fellowship with one another. Faith becomes central to our lives and it is in light of this that everything else is seen. 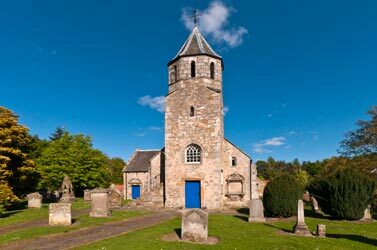 For those wishing to explore Christianity, Pencaitland Parish Church holds Alpha Courses from time to time (please Contact Us to find out about the next one) and all are welcome at our usual Sunday services and at various bible study groups throughout the week. If you don't feel ready to join a group and prefer initially to explore Christianity alone, the four gospels of the New Testament – Matthew, Mark, Luke and John – are good starting points, and the book of Mark is particularly recommended. We all, at some point in our lives, need to make a choice about whether we will put our trust in Jesus. To find out more about the choice we all face, please visit Two ways to live which is self explanatory. Many people, when they start exploring Christianity, feel hungry for more information. In this case, we recommend the books Ultimate Questions by John Blanchard and The Reason for God by Tim Keller. We also have a collection of books on similar themes (displayed upstairs in the Carriage House) that anyone is welcome to borrow. If you are currently exploring or searching, please be assured of our prayers - that you will, through the power of the Holy Spirit, encounter Jesus. Finally, 'In Christ Alone' by modern day hymn writers, Keith and Kristyn Ketty, expresses perfectly why we put our trust in Jesus Christ as does 'And can it be', performed by Phatfish and Lou Fellingham.